This beautiful bay with a shallow sandy beach, bordered on both sides with granite grey rocky promontories, is a true paradise on earth. 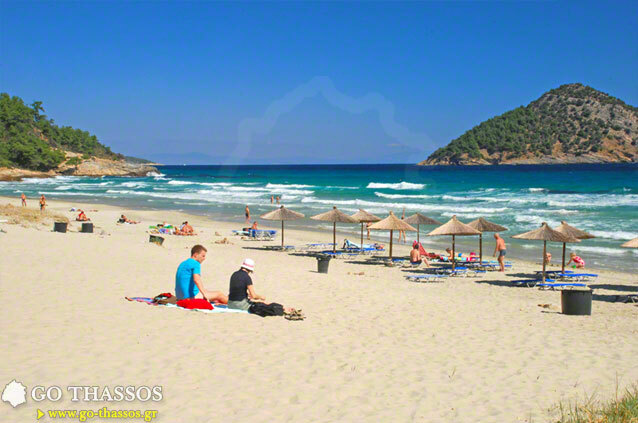 It offers a magnificent beach far distant from all the hustle and bustle of the busy towns on the island, in an environment which will take your breath away. Here God used all his creativity and skills, in order to create a true work of art in this natural environment. It gives you a real sense of the beauty an island paradise can offer. The bright green pine trees intermingled with grey granite rocks, sweep down to the crystal, deep blue waters. 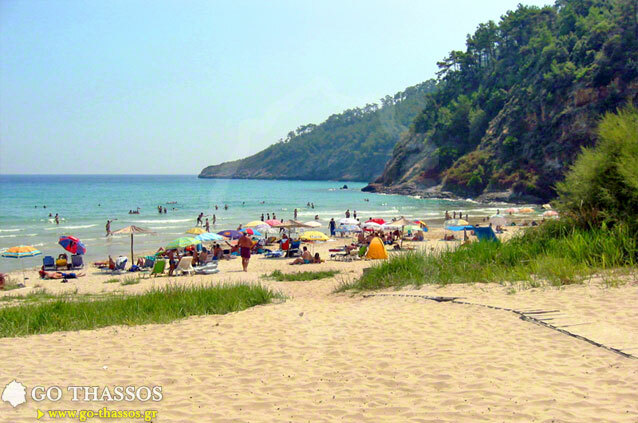 The overall impression of this beautiful small bay is of a perfect landscape and natural work of art. 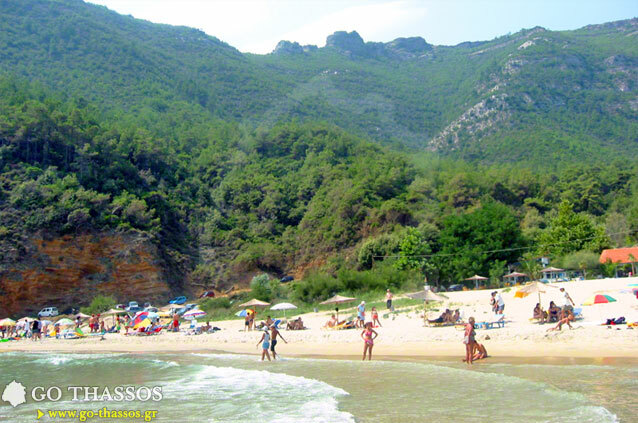 It is a place of unparalleled beauty, far distant from the more developed resorts and attracts lovers of nature. 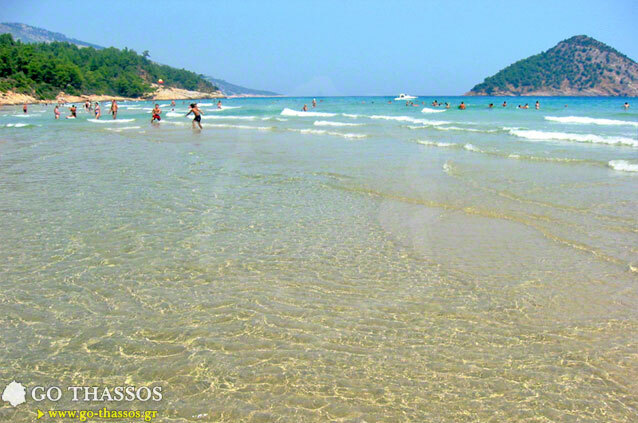 The sea is crystal clear, sparkling blue and turquoise, the sand is fine and shining, almost gold, and symbolises exactly what it is that Thassos and its sea and beaches offers to its visitors. 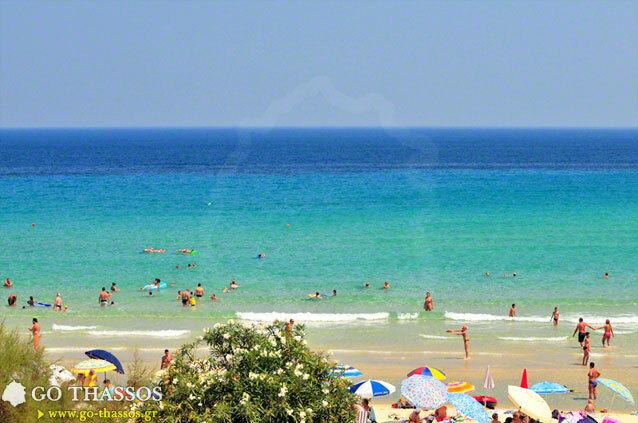 It remains today one of the most beautiful beaches on the island and indeed, we believe we can proudly claim, one of the finest in all the Mediterranean. Paradise Bay remains relatively undeveloped, with facilities just to provide for the most basic needs of the visitors, and little else. It is 26 km distant from the island's capital, and only 2 km to the south of Kinira. 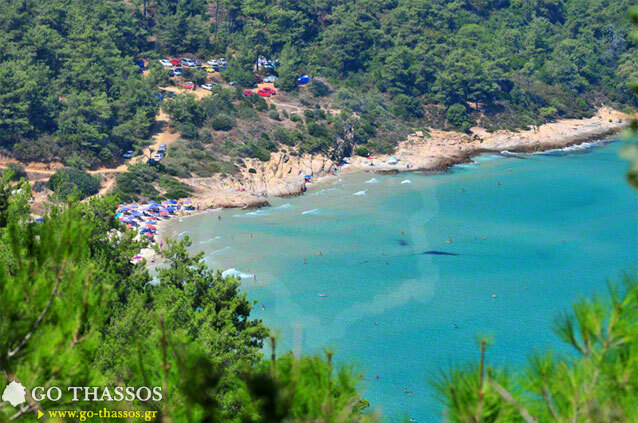 The around-the-island bus stops at the top of the path that connects to the ring road of Thassos, which leads down to the beach. 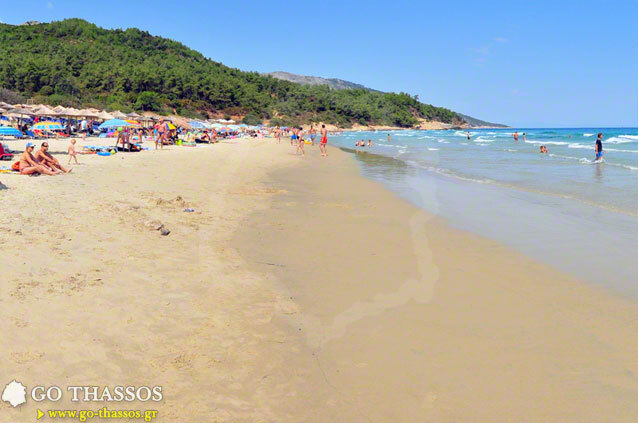 There is limited parking, but one must walk onto the beach, and then choose to go to the beautiful deep sand or on to the rocks, which formerly used to be (and sometimes still are) the naturist beach. The swimming and snorkelling here are exquisite, and there are many fish to be had for the keen amateur fisherman, and rock pools to be explored - a wonderful day for the whole family. 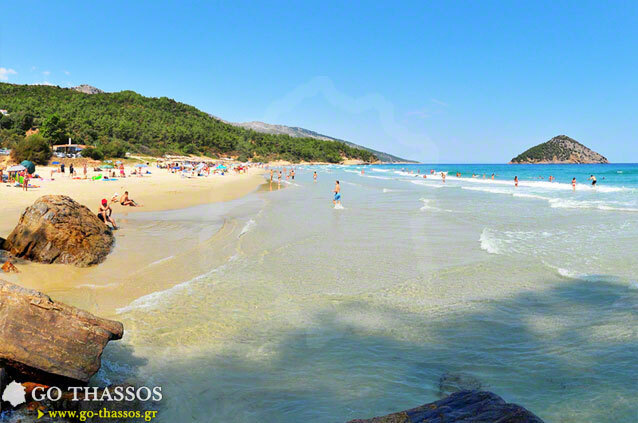 Paradise Beach is particularly worth a visit and we wholeheartedly recommend that you visit, if you can, in the quieter months, at the beginning and at the end of the season so as to enjoy this bay and this beautiful beach at its very best.